Looking for a Bellevue SEO service? We are digital agency specialized on search marketing, search engine optimization (SEO), and web design that serves the Bellevue area. We focus in getting the best results for your business. And best results in business means making more money. We start with a strategy that focuses on long-term growth and that will drive long-term results. We look for relevant keywords, build backlinks, create great content and improve conversions to get the best ROI. Our clients belong to a wide range of industries including real estate agents, doctors, law firms, construction companies, pest control professionals, hotels, camps, and more. 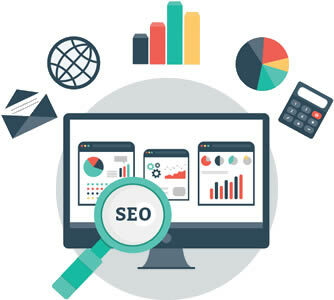 Whether you are a law firm, a construction company, a doctor’s office, or other, our goal is to get you more website traffic using SEO and search marketing so you can make profitable. You want more leads for your business, who doesn’t? We can help you setup a lead generation system that will get the best performance out of your website. We setup our lead generation system with multiple landing pages, and generate traffic from multiple sources like SEO, PPC and Social Media to find the best results. Your website’s content has to standout against your competitors, that way search engines will reward your website with better rankings. We work with you to produce the best content that fit your business views and that will attract the right traffic to your website. We try to create a long relationship with our clients. We like to understand your business and industry, so we can find the best way to help you. It’s part of our process. If we can’t help you, we let you know before you spend any of your money. An example of companies we can’t help and we won’t work with are companies with low margins, companies expecting quick returns or miracles. A campaign can take around six months, more or less. SEO is an ongoing service and it takes time and work. We also provide Google Adwords which delivers faster results.